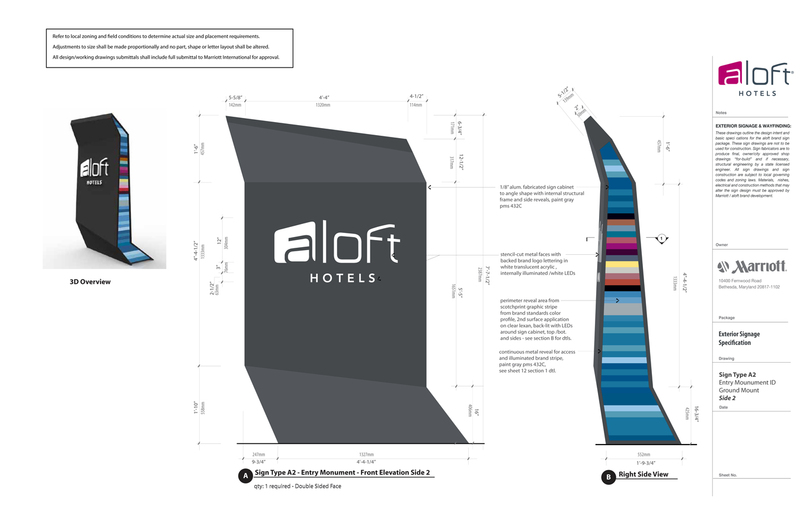 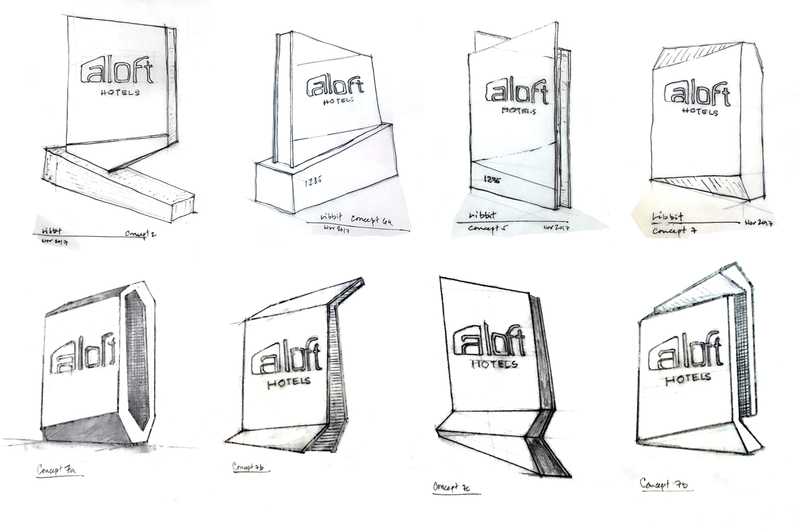 ribbit was retained in 2007 by Starwood Hotels to develop the exterior and interior signage standards for their new Aloft brand by W Hotels. 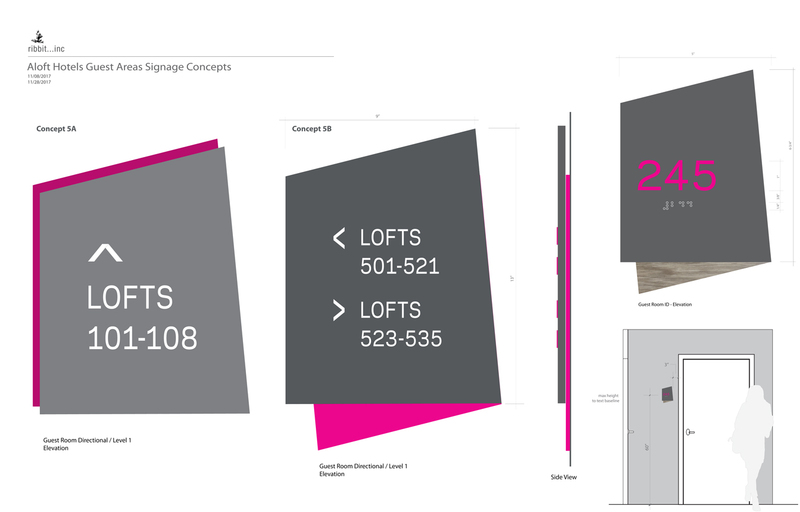 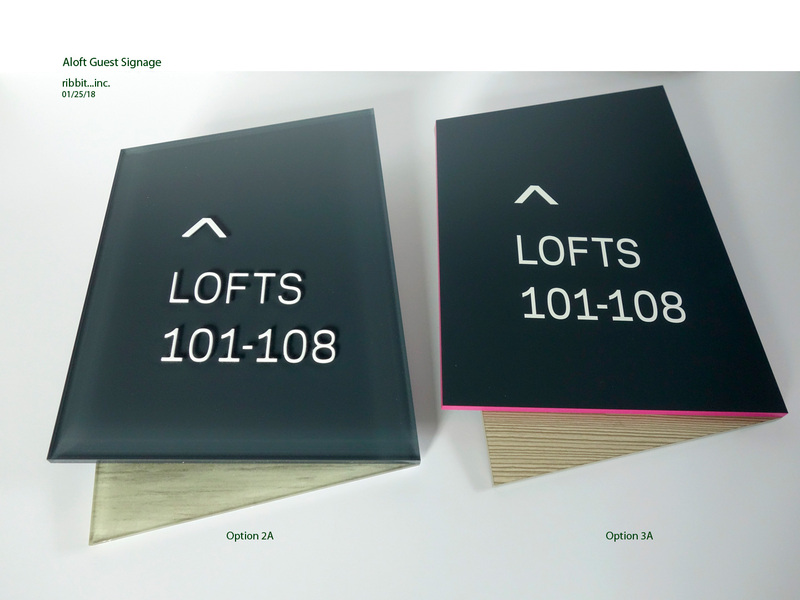 We designed and developed all signage specifications with technical working drawings to be implemented effectively worldwide. 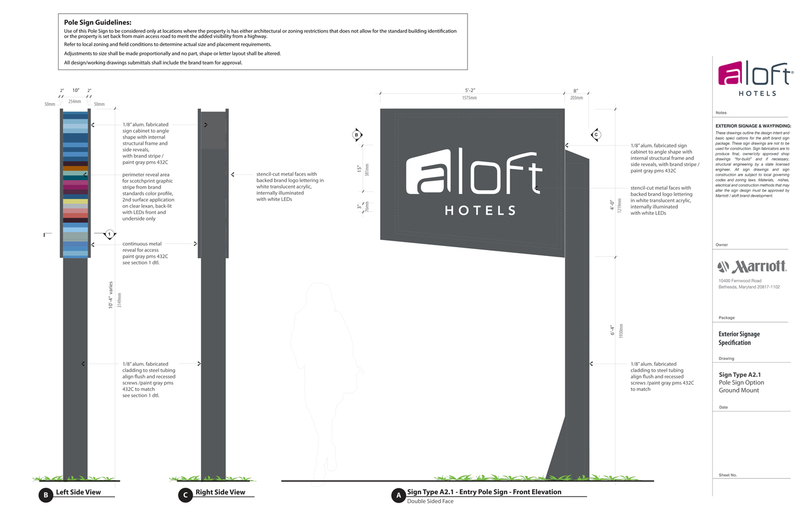 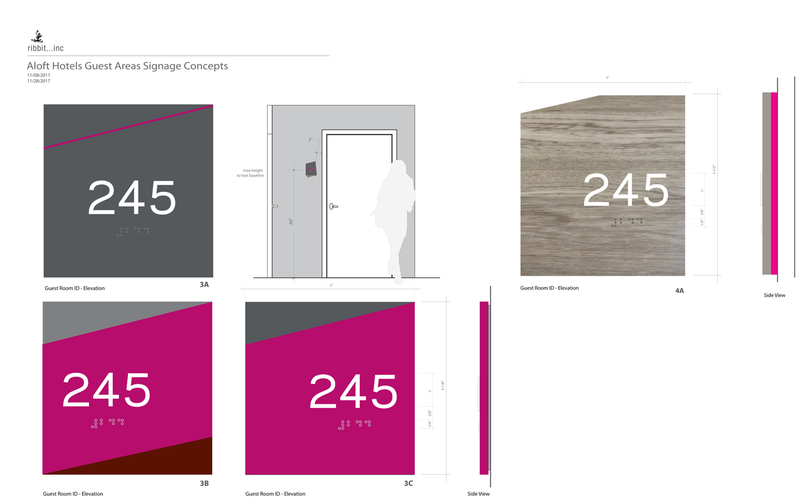 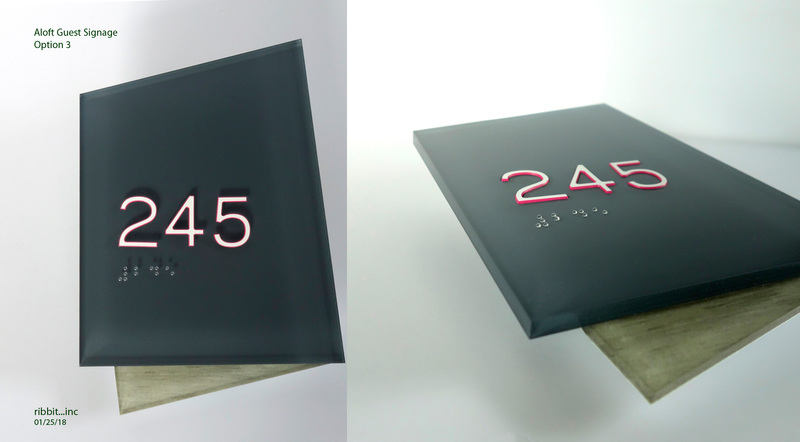 Years later after several generations, ribbit was selected again, and this time by Marriott to redesign the brand signage standards. 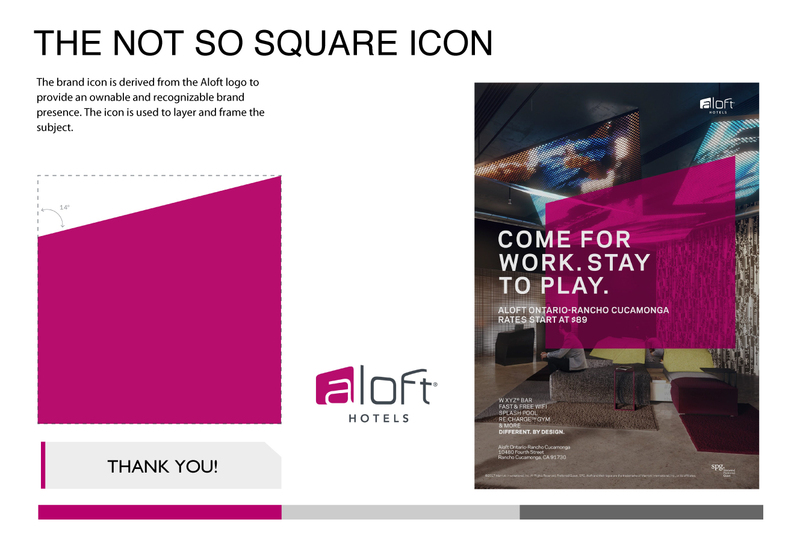 We worked with their brand team to create this new dynamic design inspired by the Aloft Style Guide, picking up on the “Not So Square Icon” design motif with a strong color scheme creating a unique visual language that communicates a vibrant design conscious personality.